Josh is presenting his research insights into high performance housing, low carbon residential precincts and water sensitive urban design at the The Future of Australia Housing – This Changes Everything conference being held in Brisbane on June 2nd. 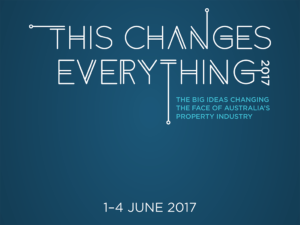 The four-day event will focus on ‘The Big Ideas Changing the Face of Australia’s Property Industry’ and Josh will sharing the learnings form Josh’s House and Density by Design, which are both part of his research activities with the CRC for Low Carbon Living and the Curtin University’s Sustainability Policy Institute (CUSP). The event will also include a presentation by Jeremy McLeod (Founding Director, Breathe Architecture) and instigator of The Commons. Featured in Density by Design, this Melbourne based apartment building is challenging the very core of how conventional multi-residential housing is being delivered. Other presenters include Paul Graham (Chief Economist for Energy at CSIRO), Steven Persson (CEO Big Issue in Australia) and the Hon. Chris Bowen (Federal Shadow Treasurer, Member for McMahon). Q Shelter: An incorporated association and registered charity with aims to improve access to, and quality of, housing for vulnerable Queenslanders. Brisbane Development Association: A non-profit, public interest organisation, which is made up of members from across Brisbane who are committed and motivated to contribute to shaping Brisbane’s future. Future Housing Taskforce: Set up to counter the rise of unaffordable housing in Australia, the Future Housing Taskforce is comprised of Queensland’s leaders in property management, development and advice, real estate sales and the building industry. The Conference is being held at the Brisbane Convention & Exhibition Centre (BCEC) on the 1st and 4th of June 2017 and tickets are available from The Future of Australian Housing 2017 website.